Emma of Miss Print and Nicole at The Book Bandit have started a new weekly feature called Monday Memories. To participate, all you have to do is take a photo of one of your books (or a library book that means a lot to you) and talk a bit about why it made an impression. Today I'm going to talk about The Lion, the Witch and the Wardrobe by C.S. Lewis. I grew up on the Chronicles of Narnia series. My mother read the books aloud to those of us who would listen (I was… seven, maybe? ), going all the way through the series, even though we didn’t really ‘get’ The Last Battle. Several years later, she reread them again, so that my brothers (who had been toddlers the first time around) could get the same experience. 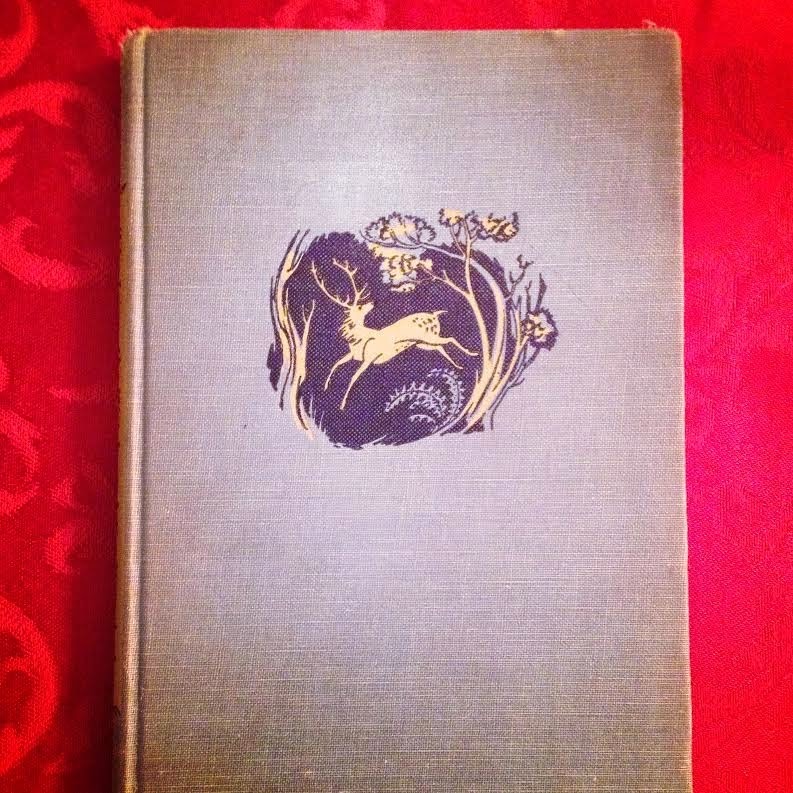 I remember that first time through the series with fondness – I fell a little in love with Mr. Tumnus and Puddleglum – but I got to see the books through my brothers’ eyes the second time. They adored Mr. & Mrs. Beaver, and Reepicheep the mouse, and all of the sword fighting and battles. There’s something very special about seeing a book you love come to life for a loved one. 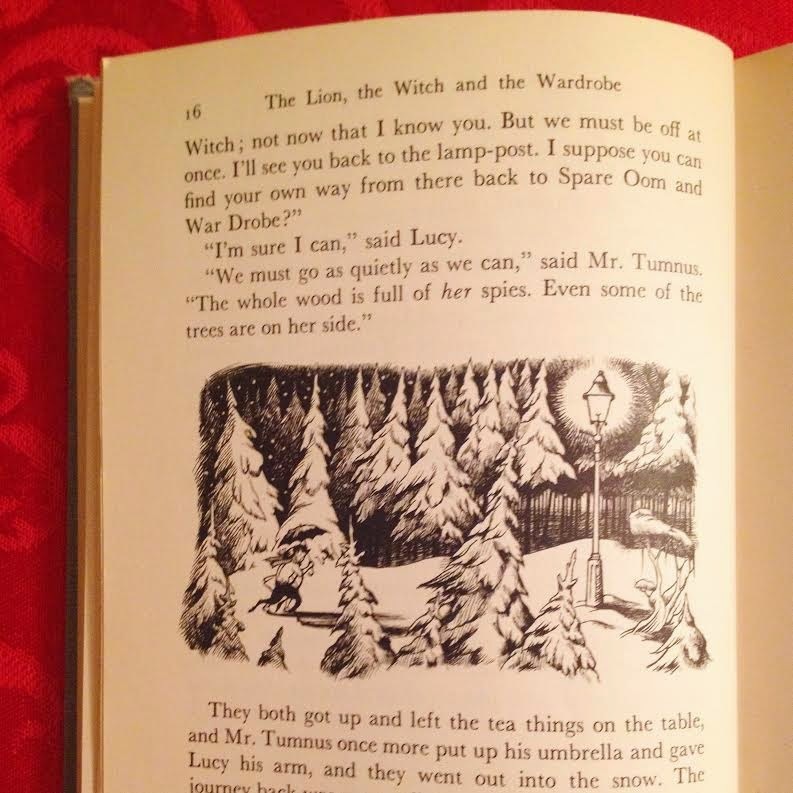 When my mother was reading through the books the first time, she borrowed library copies, but the second time around, my grandmother had sent her own copy of The Lion, the Witch and the Wardrobe. It stayed with us. When my parents were paring down their own book collection a few years ago I snagged it for my shelves. And last night, when I was photographing it for this feature, I realized that it is a first edition. Needless to say, I will be careful with it forever after. I already loved this book, but now it’s precious. Oh, books! May my love affair with you never end. Ah! So cool! I love your posts because you always have such cool looking books.